At last a lightweight centerpiece for DJ’s. 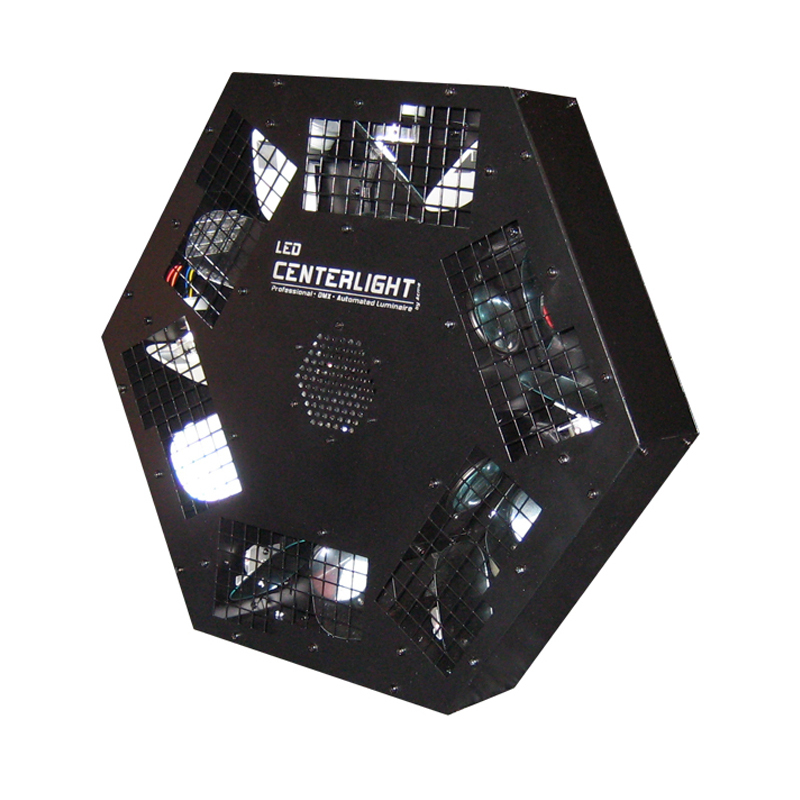 The future’s bright with this new intelligent Acme CTL-6 LED Centre light. 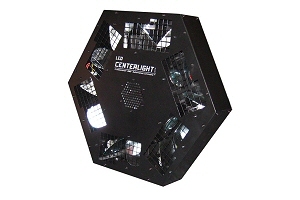 Like traditional club/DJ centrepiece effects, the LED CTL-6 is a Hexagonal disc that fires out dozens of multi-colour beams from mirrors around its perimeter. 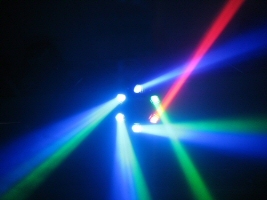 Instead of being powered by a halogen lamp, it’s equipped with 6 x 3 Watt Tri Colour LEDs that consume a fraction of the energy, have a much longer 50,000-hour lamp life, and produce pin-sharp beams with or without fog.Great for DJ’s along with clubs, discos, as well as an exciting stage effect for bands the fixture creates an incredibly dramatic effect projecting amazingly bright, sharp LED beams that twist, turn, pan and tilt over an extremely wide area. Compatible with a standard DMX-512 controller, the fixture features 4 DMX channels for controlling: movement, movement speed, colour macro and colour macro speed. It can also be run without a controller in Sound Active mode; just turn it on, and it will chase to the music via it’s built-in programmes. Also included is an input for the the CA-8 controller. 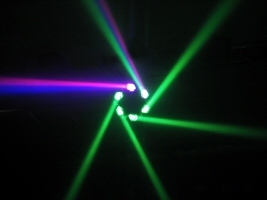 Multiple units can also be linked together Master-Slave for a very large, spectacular in-sync light show. The fixture also includes: high-quality stepper motors for smooth microstepping and a rugged metal casing.